You can suggest new entries to the Atlas for art that isn't mapped yet. Please read this reddit post for instructions. Click anywhere on the image to start drawing a shape. When you're happy with the result, click the "Finish" button above or press the Enter key. You can then add more information about your object. new text post to /r/placeAtlas on Reddit. I will then check it and add it to the atlas. I have worked on the Atlas full-time (and more!) for over two weeks. If you'd like to support me, you can do so by PayPal or Bitcoin. 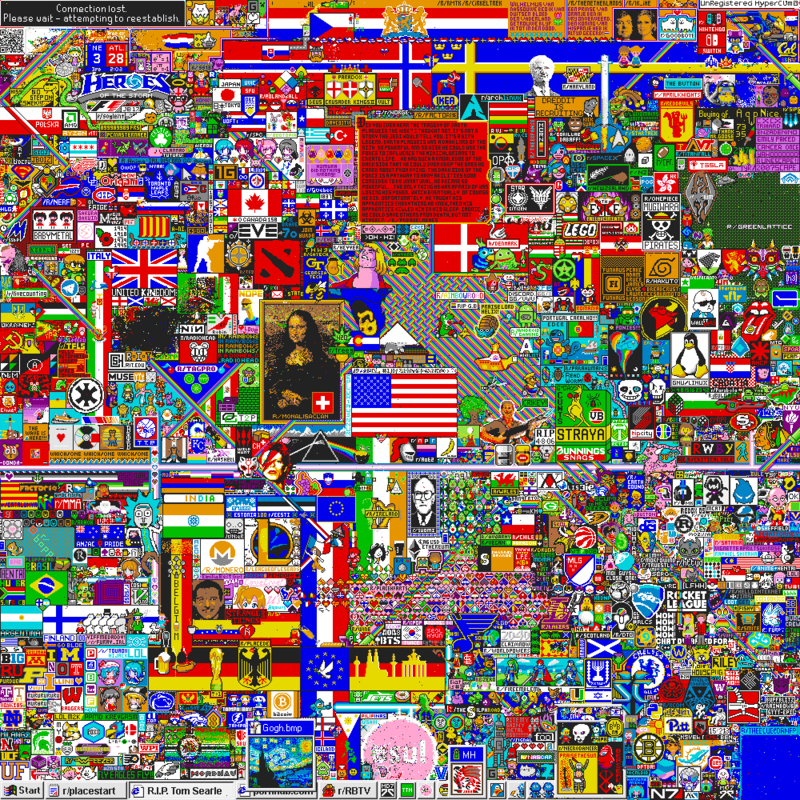 If you donate more than 10(€/$/CHF/mBTC), I'll send you a nice sticker of the Place canvas! message with your Bitcoin address before you make the transaction!